Abram, 22 months. 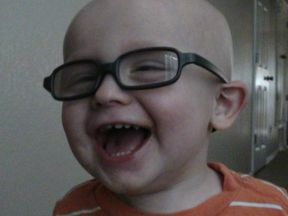 He wears glasses for esotropia and farsightedness. Frames are Miraflex.